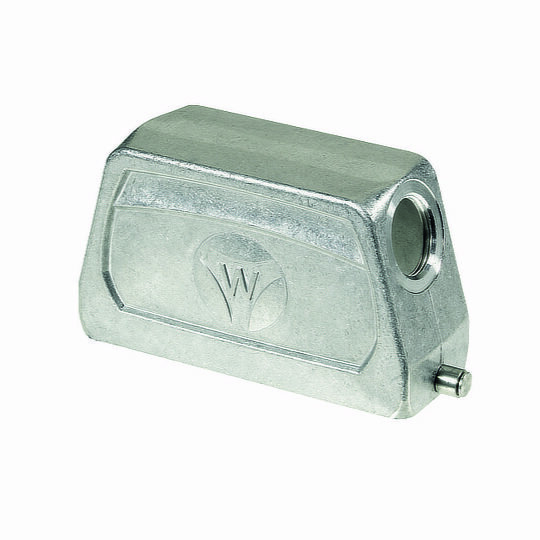 The Revos Basic series of heavy-duty connectors from Wieland have die-cast aluminium housing with a power-coated surface. Specially designed for the toughest of environments the housing is sealed to IP54 with an operating temperature range of -40°C up to +120°C and a solid locking mechanism of single or double locking leavers. Available with inserts for between 6 to 92 poles with screw style terminations the Revos Basic series is electrically rated to 16A at 500VAC, 690VAC, or 830VAC depending on inserts chosen. The Revos Basic range of housing can also be used for the Revos Power, HD, DD and Flex series of inserts. The Revos Basic series are perfect when robustness of the connector is paramount and for applications such as Wind Power Systems, Solar Power, Construction Machinery, Utility Vehicles, Facility Engineering and Machine Building.